HansonLA creates solution-driven architecture based on our understanding of culture, politics, business, and technology. We are dedicated to respecting and improving the community with deference to our clients’ agenda through construction. We are committed to executing our craft with beautiful and intentional design, from high rise towers to special projects. Douglas Hanson, AIA, has over three decades of experience collaborating with some of the world’s leading architects to produce major projects in Asia, Europe, and North America. The initial inspiration for all of Hanson’s designs comes in the form of a sketch. 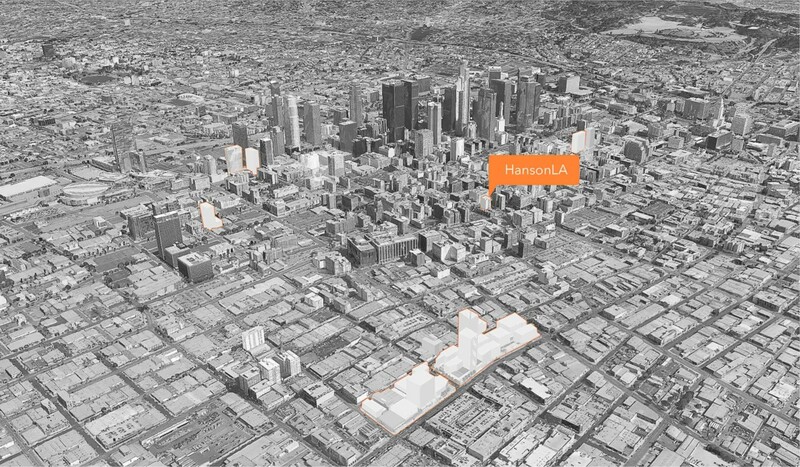 These sketches act as a map that guide the HansonLA team through the design process. HansonLA’s increasingly diverse team brings unique interests and backgrounds to the office, which often serve as inspiration to activate, enhance, and execute Hanson’s vision.